It’s hard to do a good job if you don’t have the right tools. And that doesn’t just apply to fixing things around the house, it applies to all aspects of life. So, in launching our new website this week we didn’t just want to provide visitors to the site with a more enjoyable and engaging experience – though we hope we have done that – we also wanted to provide a more informative and helpful experience. That’s why we have created a whole new section call the Patient Advocate Toolbox. The goal of the Toolbox is simple; to give patients and patient advocates help in learning the skills they need to be as effective as possible about raising awareness for their particular cause. As an advocate for a disease or condition you may be asked to speak at public events, to be part of a panel discussion at a conference, or to do an interview with a reporter. Each of those requires a particular set of skills, in areas that many of us may have little, if any, experience in. That’s where the Toolbox comes in. Each section deals with a different opportunity for you to share your story and raise awareness about your cause. In the section on “Media Interviews”, for example, we walk you through the things you need to think about as you prepare to talk to a reporter; the questions to ask ahead of time, how to prepare a series of key messages, even how to dress if you are going to be on TV. The idea is to break down some of the mystique surrounding the interview, to let you know what to expect and to help you prepare as fully as possible. If you are going to be asked questions about stem cell research there’s a section in the Toolbox called “Jargon-Free Glossary” that translates scientific terms into every-day English, so you can talk about this work in a way that anyone can understand. There’s also a really wonderfully visual infographic on the things you need to know when thinking about taking part in a clinical trial. It lays out in simple, easy-to-follow steps the questions you should ask, the potential benefits and problems of being in a trial, including the risks of going overseas for unproven therapies. 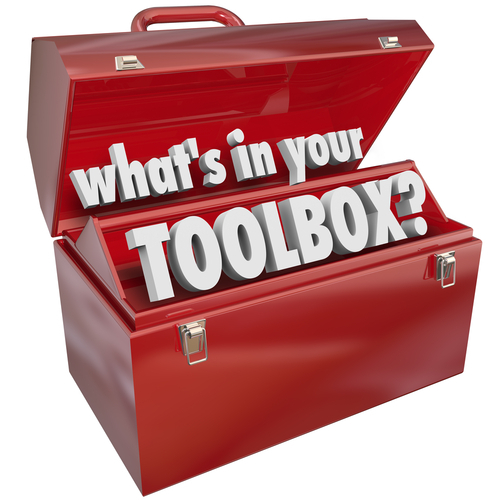 The Toolbox is by no means an exhaustive list of all the things you will need to know to be an effective advocate, either for yourself or a friend or loved one, but it is a start. Thomas Carlyle, the Scottish philosopher, once wrote: “Man is a tool-using animal. Without tools he is nothing, with tools he is all.” That’s why we want to give you the tools you need to be as effective as you can. Because the more powerful your voice, the more we all benefit.